The year 2017 (formally “the year of ecology” and “the year of protected areas” in Russia) has provided a good and rare opportunity to solve a long-term conflict in the Dvinsky forest (one of the most valuable intact forest landscapes in Europe, located in the interfluve of the Northern Dvina and Pinega Rivers in the Arkhangelsk region, in the Northwest of Russia). 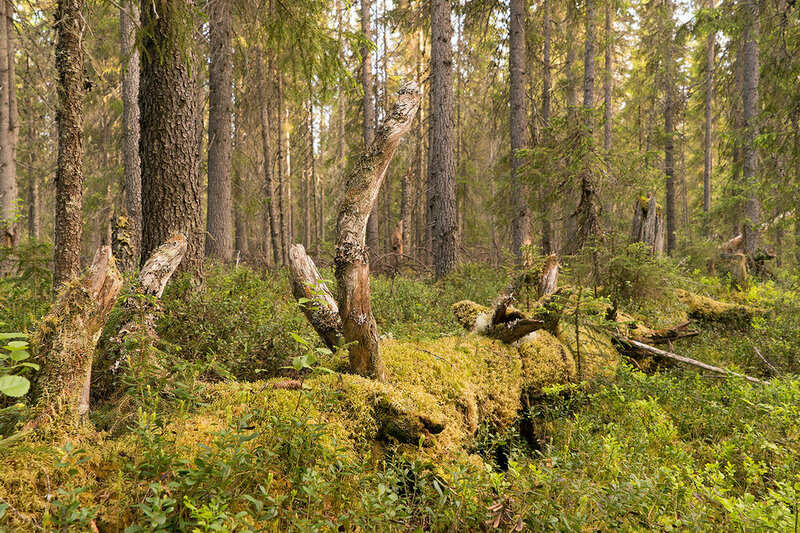 Whereas the Dvinsky forest is still lacking legal protection today, the establishment of a protected area would preserve the core part of the IFL. This opportunity unfortunately has been irretrievably lost due to the position of the industry. The largest logging companies operating in the Dvinsky forest created a serious obstacle by disagreeing with the designated borders of the protected area in the regional planning documents, or their own voluntary moratorium zones, as well as with any other compromised borders, which could be acceptable from the conservational point of view. Greenpeace and WWF made a lot of efforts to find a compromised solution, which would allow preserving the most valuable parts of the IFL. However, the negotiations have failed. In August 2017, Greenpeace had to withdraw from negotiation with the largest industrial group (Titan group and Arkhangelsk PPM), due to the loss of any hope for reaching an acceptable and tangible result this year. The establishment of the Verkhneyulovsky (Dvinsky forest) nature reserve is included in the main regional forest planning document (Forest plan of Arkhangelsk region) as well as the regional master plan. The planned reserve is covering the core and most valuable part of the Dvinsky forest. According to the Forest plan the size of the protected area should be 489 thousand hectares, about only 10% of the whole interfluve between Northern Dvina and Pinega rivers. A significant part of this planned protected area is covered by companies’ moratorium agreements as part of their FSC voluntary forest certifications. 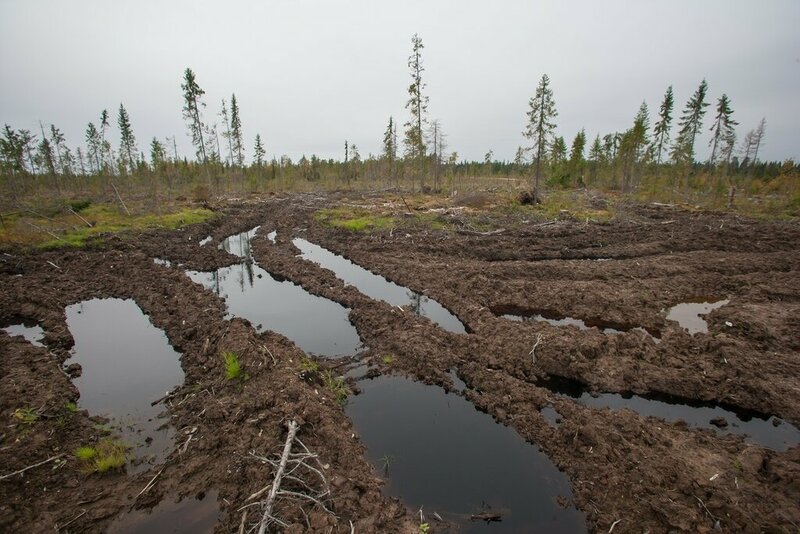 The main obstacle for the fulfillment of this part of the Forest plan and the conversion of the moratorium agreements into a legally protected area is the catastrophic depletion of forest resources in the Arkhangelsk region. “On paper” there is enough forest to ensure the survival and development of the regional forest industry and the actual logging represents only half of the annual allowable cut (e.g. 53% in the year 2016). However, in practice the survival of the largest logging companies depend to a large extent on the destruction of the remaining intact forest landscapes and other categories of high conservation value forests. These forests still accumulate substantial softwood stock volumes, so precious to the industry. That is why the largest logging companies operating in the Dvinsky forest demand to reconsider borders of earlier moratorium agreements and future protected area. The common position of Greenpeace and WWF in Russia has been that in such a dispute situation a protected area of 350-380 thousand ha (depending on the borders configuration) may be a reasonable compromise. It is a compromise between the need to protect the most valuable core areas of the Dvinsky forest on one hand, and to secure sustainable long-term work of the forest industry on the other hand (under the condition, that normal forestry practices would be introduced in earlier developed forests). The major part of the planned protected area is currently leased out to the forest industry. That is why the establishment of a protected area very much depends on position of the leaseholders. Especially on the position of those major companies involved in the implementation of so called “priority investment projects in the forest development sphere” supported by the state. These major players are the Titan group and Arkhangelsk pulp and paper meal (APPM) as well as Pomor timber. The largest share of leased forests falling into the borders of the planned protected area belong to the Titan group and APPM. The position of these companies largely predetermines the possibility or impossibility to establish a protected area with reasonable and acceptable borders, as well as it predetermines perspectives for successful negotiations with other involved forest leaseholders. However, up to now the Titan Group and APPM did not agree with any reasonable version of protected area borders within the area of their responsibility. Border suggestions made by these companies would neither allow the establishment of the reserve within 350 thousand ha, nor could they ensure the protection of the most valuable parts of the intact forest landscape. - the protected area should first of all include the areas situated in the Southern and Eastern parts of Dvinsky forest, and thereby also cover areas outside the borders mentioned in the Forest plan of Arkhangelsk region. The most biologically valuable areas in the central part of Dvinsky forest (within the “Ust-Pokshenga” forest management unit (part of Titan group)) should be completely or almost completely excluded from the protected area. This is the more noteworthy, as these areas so far are covered by strict moratorium agreements as part of the FSC voluntary forest certification. - “Titan group’s input into the protected area” must not exceed 170 thousand ha. 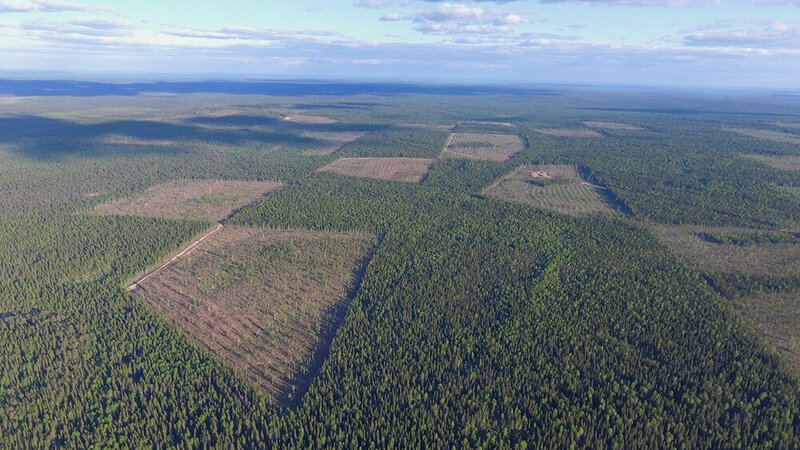 The seventy thousand ha size area, located in the Eastern part of Dvinsky forest, which earlier was not leased by the Titan group for the priority investment project, should be considered as part of this 170 thousand ha input. - in case of reaching an agreement with other leaseholders within a smaller protected area size (overall less than 350 thousand ha), then the input of Titan group and APPM should be reduced proportionally. Such a position creates many obstacles. Firstly, the protected area borders suggested by the Titan group and APPM within the “Ust-Pokshenga” forest management unit in the central part of Dvinsky forest do not allow to create a functionally integral protected area, which would cover the core of the intact forest landscape. Practically with such borders the IFL will be cut in two separate parts, which would significantly reduce its natural value. All attempts to agree on preserving a minimal neck between two parts of protected area, which would ensure spatial integrity of the intact forest landscape under protection, did not pass through a principal opposition by the Titan group and APPM. Secondly, a displacement suggested by the Titan group and APPM of the major part of the protected area towards the Eastern part of the IFL would create unjust conditions for the other large logging companies operating in Dvinsky forest. It would be a substantial injustice from an economical point of view, because other companies do not have the same displacement options within their tenures. Other loggers demand for equality and do not agree with such protected area borders, which create enormous economic advantages for one group of companies, while initial borders according to the regional Forest plan implied more or less equal input (in terms of area and economics) of major logging groups into the protected area. As a consequence, other companies will also demand to reduce their share in the protected area. Those two described problems do not allow nature conservation organizations and logging companies to come up with new agreed borders of the protected area within a size of 350, and even 300 thousand ha. Without such an agreement, the Arkhangelsk regional government is not ready to make a decision on the establishment of a protected area, even though it is prescribed by the regional Forest plan. The Dvinsky forest case clearly exposes a big failure of FSC in the protection of intact forest landscapes. Theoretically the FSC voluntary forest certification demands for protection of intact forest landscapes and other high conservation value forests (FSC principle 9). Three years ago, on Sept. 11, 2014 at the FSC General Assembly, Motion 65 was accepted by the majority of members, a commitment for the protection of a vast majority of remaining intact forest landscapes under FSC-certified forest management. Also publically FSC supports the establishment of protected area in the interfluve of Northern Dvina and Pinega rivers and protection of IFLs in general. In practice however the FSC in general became a very significant force, which accepts and promotes the extensive model of forest exploitation instead of real forest management, and consequently it largely supports the destruction of intact forest landscapes in the Arkhangelsk region. FSC certificates do not ensure sustainable cut rates for softwood, which is critically important for a long-term viability of forest industry. It was exactly the progressive depletion of softwood resources, actively supported by the FSC certified logging model over the past two decades, which has lead to a situation when forest companies have to choose between their survival or protection of high conservation value forests. FSC allows the companies with FSC certificates to sell forest products from so-called “environmentally appropriate, socially beneficial and economically viable” forest management without significant changes in their forest depletion practices. Thus FSC eliminates any incentive for companies to achieve real changes, which could have provided sustained yield, development of good forest management, long-term forestry related jobs for local people and protection of high conservation value forests. The so-called “environmentally appropriate, socially beneficial and economically viable” forest management supported by FSC is the same type of forest activity, which has already lead to the depletion of the most valuable forest resources in the most accessible and most productive forests of the Arkhangelsk region. Poverty and death of hundreds of forest dependent settlements will be the result of the ongoing forest depletion. Thus with very limited exclusions, FSC does not ensure the protection of IFLs. As the Dvinsky story reveals, even the voluntary moratorium zones, accepted by companies within a scope of FSC certification cannot get converted into a legally protected area. Because of the extreme depletion of managed forests, the companies are not able refuse logging even in a small part of high conservation value forests. Tthe great majority of softwood logged in the intact forest landscapes of the Arkhangelsk region is purchased by certified companies and sold to customers under the FSC or FSC MIX brand. The optimal time slot (“the year of ecology” and “the year of protected areas”) for the establishment of the protected area in Dvinsky forest with acceptable borders is irretrievably lost. The protected area can not be established within the remaining time slot until the end of the year. This means that the establishment of a protected area will be delayed for an indefinite time – in the best case for another year and a half, possibly for decades. This also means that there is a strong need to find an alternative solution, which would ensure a maximum of protection for this IFL. The most effective measure at this point would be the suspension or termination of issued FSC certificates and (or) suspension or termination of accreditation for those certification bodies, which allow massive incompliance with these requirements. Since the major role in destruction of intact forest landscape of the Dvina-Pinega interfluve is played by the large European or affiliated companies, and since a major part of timber products originated in IFLs end up at the environmentally sensitive European markets, the owners, buyers and consumers in Europe should be aware of their role in the destruction of the last wild forests in the Arkhangelsk region. The prevailing extensive model of forest management (with no real forest management), which has led to the catastrophic depletion of forest resources and obstacles for establishing a protected area according to the regional Forest plan – should become a subject of weighted, transparent and independent analysis. Companies that aim for a transition from this depleting forest model to real forest management should receive a maximum of support. The extensive forest depletion model, which brings maximal benefits to the owners of companies today, but condemns the last wild forests to complete destruction, and the forest settlements to die off in the long run, should not longer be further considered as “environmentally appropriate, socially beneficial and economically viable”. Such forest depletion models should not be acceptable for responsible companies and should not be an object of voluntary forest certification.